Located at the crossroads of New England, the intersection of Interstate 91 and the Mass Pike, the Econo Lodge is minutes from popular atractions like Six Flags New England, Eastern States Exposition and Naismith Memorial Basketball Hall of Fame. The hotel offers free deluxe continental breakfast and great New England Hospitality. The hotel offers beautifully appointed rooms. We also have Whirlpool rooms with 27 inch television. Single rooms have one king size bed and double rooms have two queen size beds. 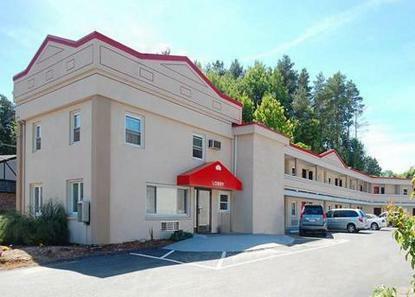 Econo Lodge is conveniently located right off of Route 5 South at exit 13B off I-91 and exit 4 off I-90. Pet accommodation: 25.00 night, K and QQ rooms only.